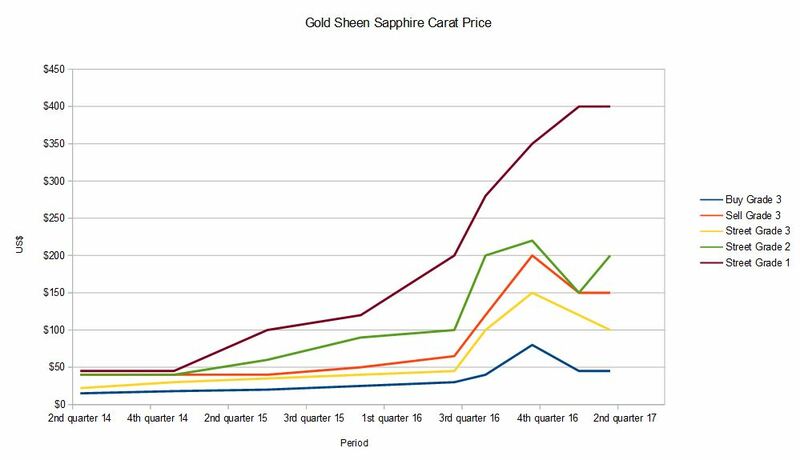 This update for Gold Sheen Sapphire pricing uses sales price point data from Tucson, Hong Kong and Bangkok exhibitions, as well as shop front sales from January to April 2018. Prices have increased for all grades, most notably for grade 1 and 2. 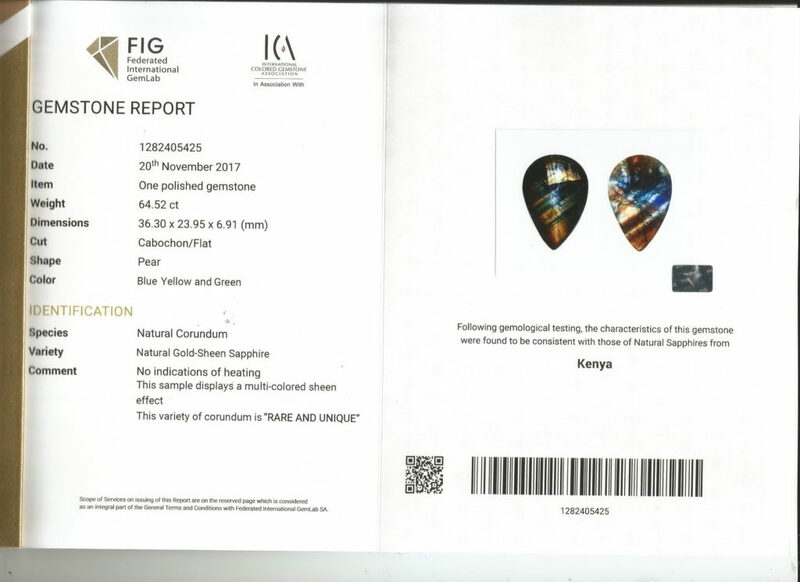 Increased pricing was a result of strong interest from Japanese buyers, which flowed over to grade 2 pricing as well. Grade three pricing was a more general result of broad buyer interest. 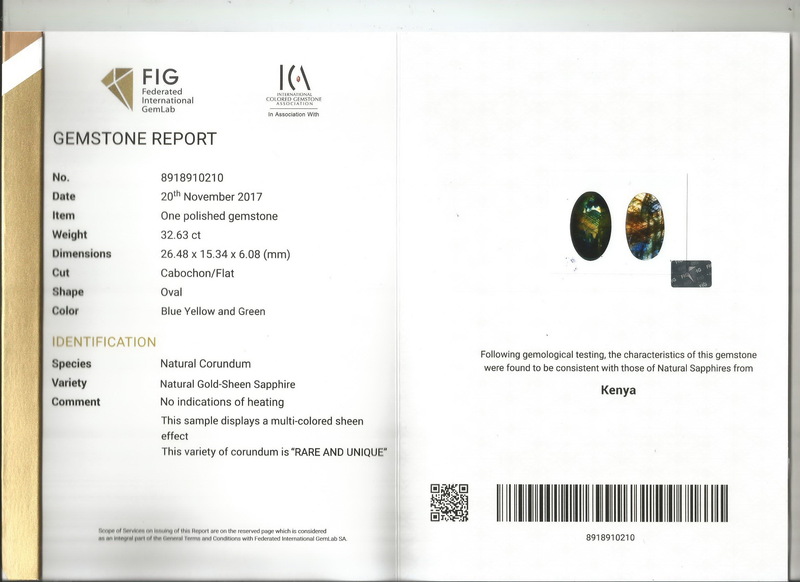 Most notably highest quality pieces reached $1,000 per carat – a significant milestone for Gold Sheen Sapphire. 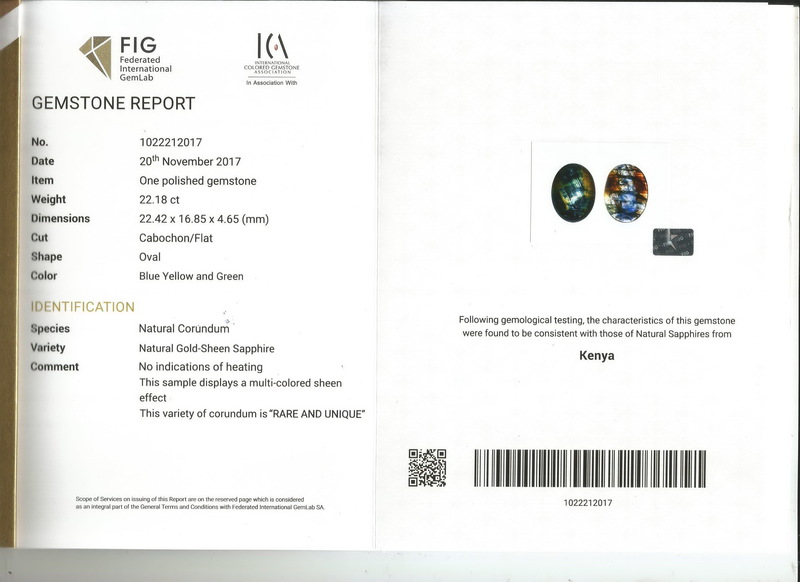 If you would like information about how to invest in Gold Sheen Sapphire you can visit our wholesale page: https://sjwgems.com/wholesale/ or email gss@sjwgems.com. The Federated International GemLab SA in association with the International Colored Gemstone Association now recognises Gold Sheen Sapphire as a unique variety of corundum. Six certificates were issued by the FIG Bangkok office on 20th November. 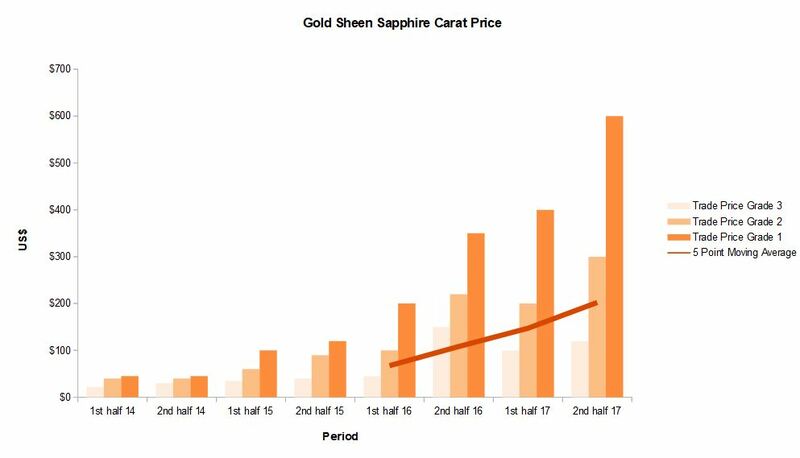 This is the price update for Gold Sheen Sapphire for the 2nd half of 2017. It covers the reported sale prices from the September Hong Kong and Bangkok Gem and Jewelry Trade Fairs. Reporting periods are now half yearly, not quarterly. Since price data comes principally from major trade fairs, ‘Trade Price’ of pieces sold is a more reliable indicator of current price. There are enough data points now to give a meaningful moving average, this should provide a good trend indicator for the future price. New Gold Sheen Sapphire ‘diamond cut’ direct from the factory from carefully selected highest grade rough. 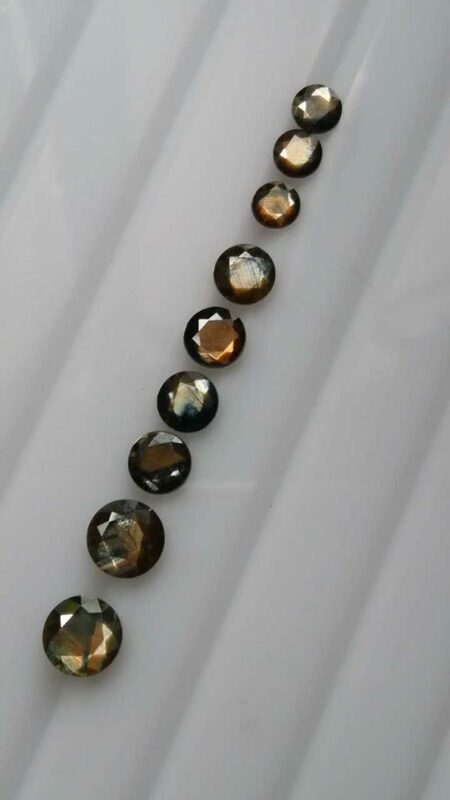 After careful selection of the rough, about 10% of material is suitable for this high grade faceting. Once faceted, only one or two pieces in 10 make this selection. Most pieces show colour change from metallic copper/gold in incandescent light to blue/green in natural light. 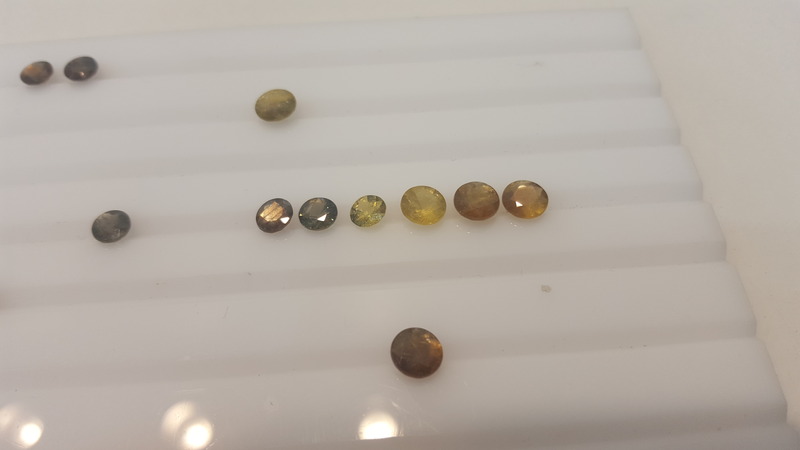 While most pieces come opaque, typical of Gold Sheen Sapphire, about 20% come as translucent with yellow, green/yellow and gold hues. All are available in all calibrated sizes from 3mm to 10mm, or can be cut to order. 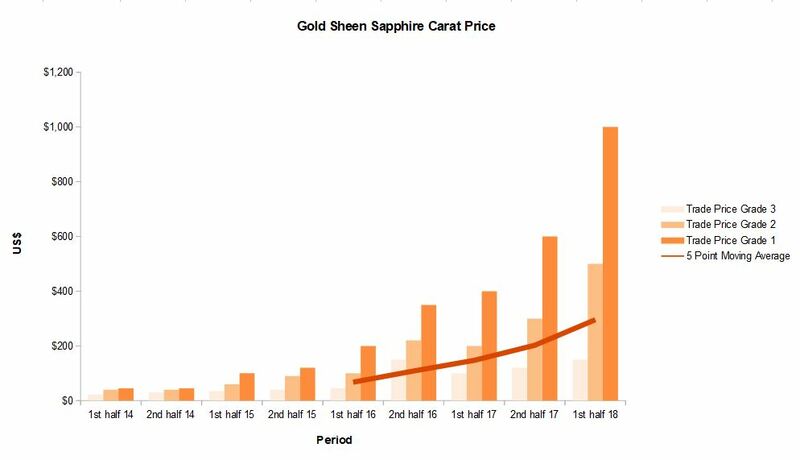 The first and second quarter of 2017 have seen some interesting movement on the price of gold sheen sapphire. 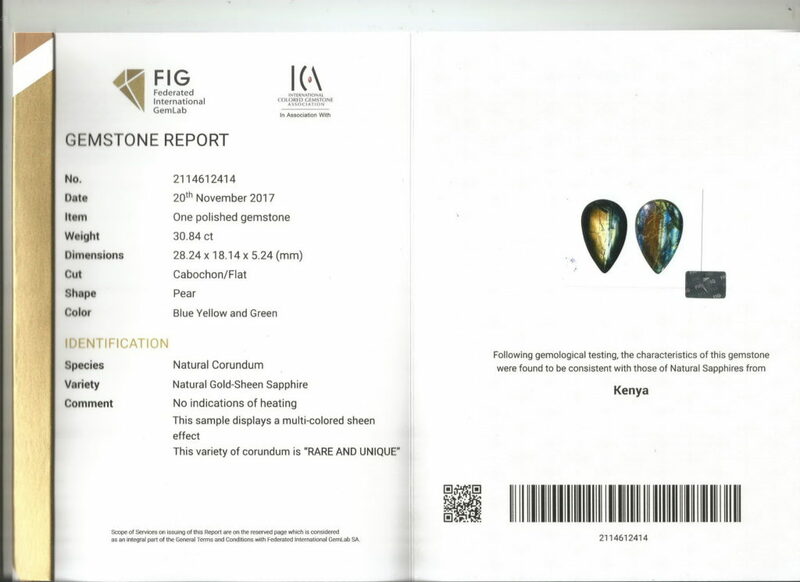 The price for top grade stones has increased slightly in Q1 and remains stable though Q2. 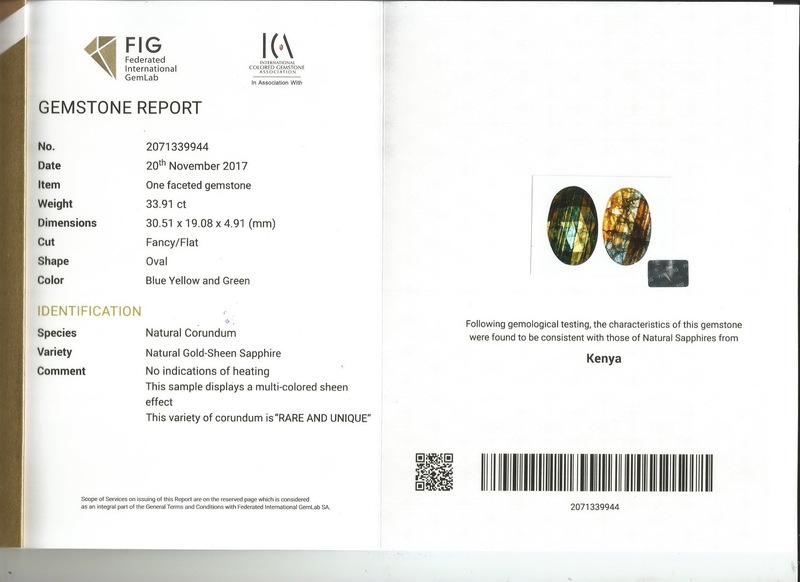 Meanwhile prices for all other grades took a dip in Q1 and remain constant in Q2, with the exception of the street price of grade 2 stones which improved in Q2. It seems clear that the market is becoming more discerning, reflected in the willingness to pay for best quality material. The trend has been for increasing sales from repeat buyers, which have exceeded reported sales from first time buyers for the first time in Q1, and continuing into Q2. This is further reflected in the price drop of lowest grade material, where buyers have been able to negotiate pricing based on large volume orders. Special promotions for new cutting and polishing techniques as well as the introduction of new cut types and increased presence at trade shows have all contributed to fluctuations in mid to high grade pricing. Anything less than Grade 3 is not available for sale and either discarded or re-cut. “Sell” is the price offered for sale from retail or trade fare for single stones or small sales. “Street” is the negotiated price for small quantities of stones of various grades. Gold sheen sapphire and dark, vivid ruby is ideal for men’s jewelry. Typical design styles for men’s jewelry use flat mountings with large(er) size gemstones. This requires a faceted gem with a larger table size, or flatter cabochon that presents well, which favors opaque over transparent stones. For example, this gold sheen sapphire ring has a 45ct stone with a 22mm x 16mm table. 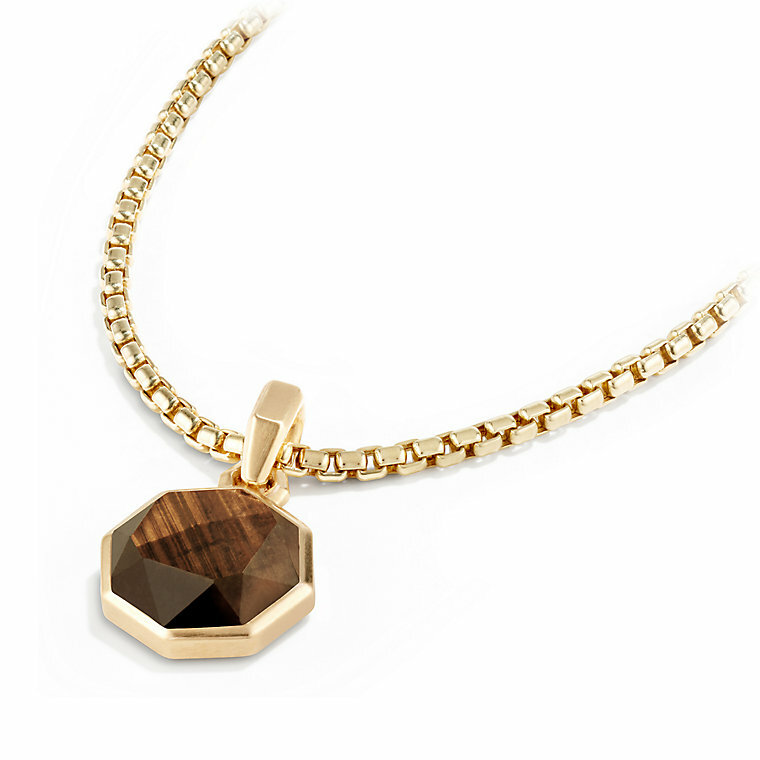 The faceting picks up brass, copper and gold tones as light plays across the surface. 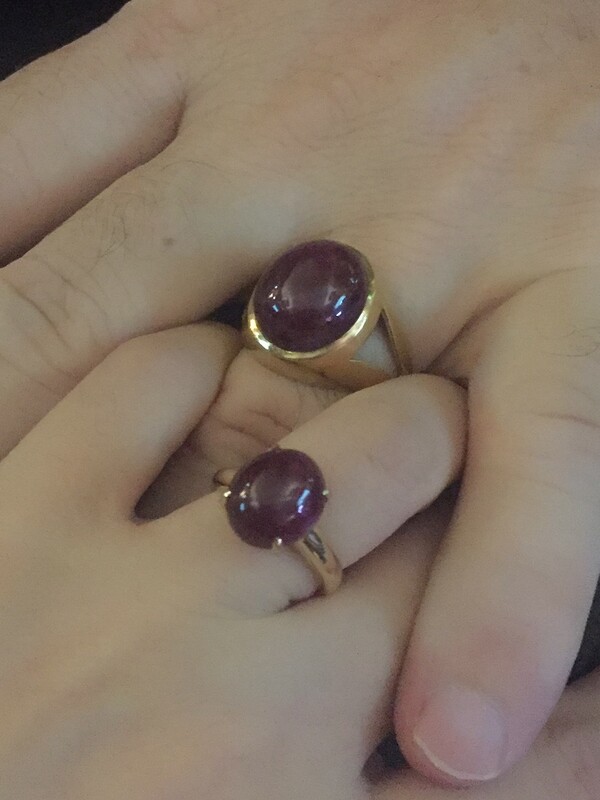 The rubies in these rings are cabbed from the same piece of rough ruby. 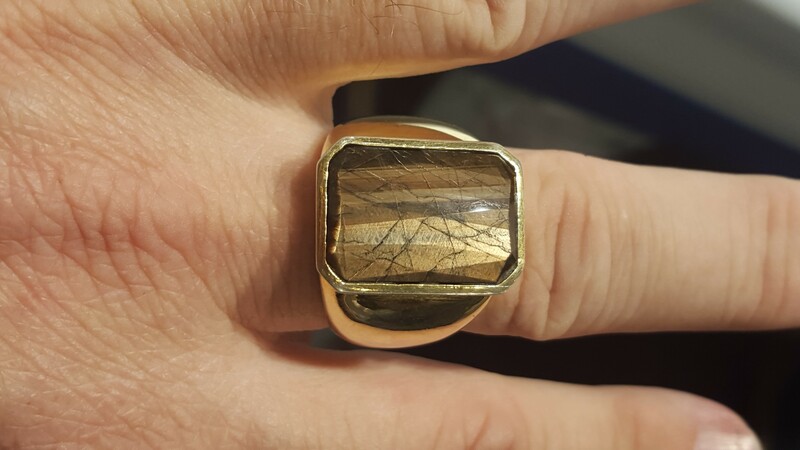 In larger sizes, the dark tone with strong saturation is great for men’s rings, yet still beautifully feminine in smaller sizes. Charles Lawson has just posted his latest video featuring Gold Sheen Sapphire on his YouTube channel. This is an informative video on the cutting and production process. I even have a small speaking part. Top ranked jewelry designer David Yurman today released their 2017 Lunar New Year Collection featuring Gold Sheen Sapphire. As for the octagonal cut, the raised facets presented quite a challenge for the cutting factory. Making that design in garnet is one thing, but quite a lot harder when cutting sapphire. Nevertheless, the skilled artisans rose to the challenge and filled the order ahead of time while achieving a remarkable consistency of 0.1mm tolerance. I am very proud to have been able to meet the high quality demanded by David Yurman – which required a concerted team effort over three months. It simply would not have been possible without the dedication of Tanzim Khan and his exceptional team.